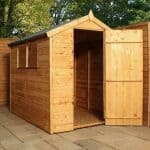 This is an excellent choice traditional shed which has a rustic style overlap cladding and is superb value yet still retains quality and is built to last. 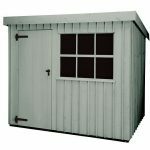 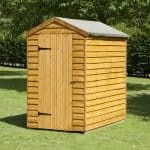 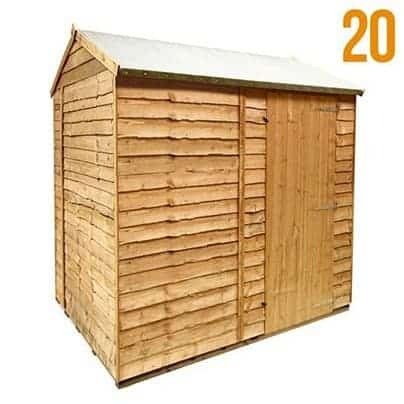 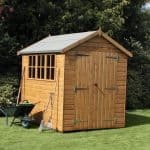 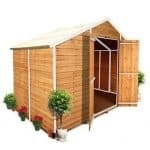 This shed is of popular size and is roomy with good storage space for light garden equipment and children’s toys. 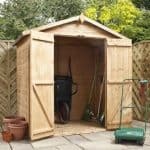 The Rustic Overlap Apex Shed works well in most spaces or additionally makes a perfect secondary outbuilding for your garden.